Artist's Pastel Storage Drawer Boxes....Protect and organize your pastels charcoals pens erasers blending tools small accessories and more. 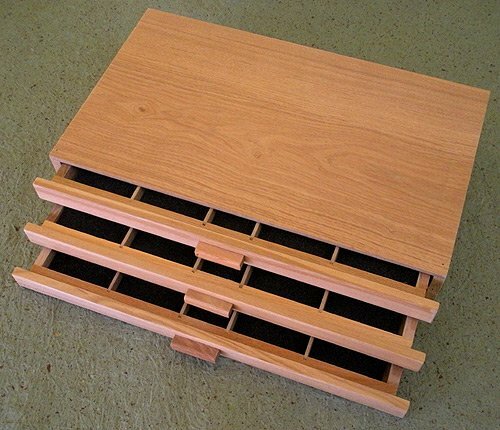 This hand sanded box is made of hardwood and features durable finger joint construction. Inside each drawer you will find five separate foam-padded compartments ideal for arranging your colors. Each drawer is removable for convenient access to stored materials.